After an initial creation residency, Pícaro had its first public showing at the Baryshnikov Arts Center in Manhattan last night. This has been a wonderful exploration period with Carlos Alexis Cruz, Alicia Martinez Alvarez, Shamou Mou and the BAC team. 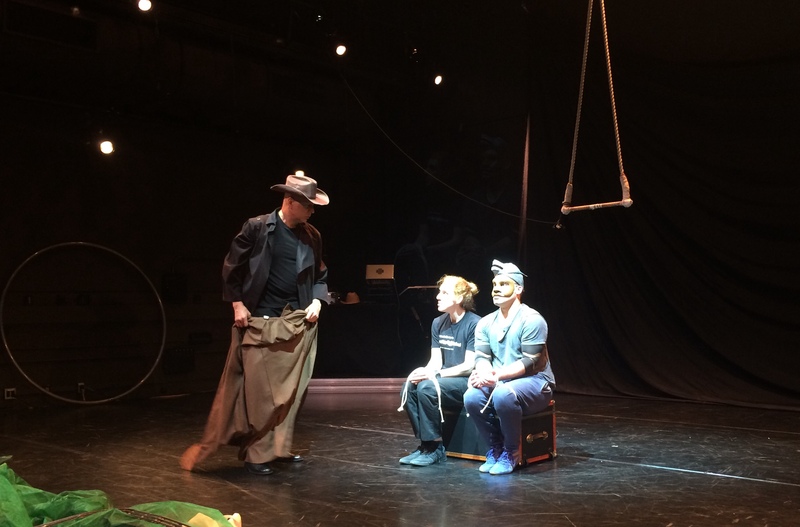 It’s been an exciting challenge to combine circus, Mexican mask, magic, and theatre to create a story about immigration. I would like to thank the Princess Grace Foundation and the BAC for supporting this international collaboration.